Private Cloud or Hybrid Cloud Solutions: What’s Right for Your Business? Anyone who’s ever shopped for jackets, flip flops, or underwear can attest to the fact: one size definitely does not fit all. About .001% of the population is roughly the size and shape of the average model. The rest are, to varying degrees, different sizes. Ironically, the cloud is much the same. Even among similarly sized businesses, there are radical differences in budgets, business models, IT infrastructures, corporate cultures, and other factors. Just because your buddy who runs a chain of retail shoe shops does fine with a hybrid cloud doesn’t mean that it will work for your insurance company or law firm or patient care clinic. Your business operates under different structures and regulatory requirements, which are just a couple of the considerations. Here are the definitions of the private cloud and hybrid cloud solutions and how to determine which one fits your business best. 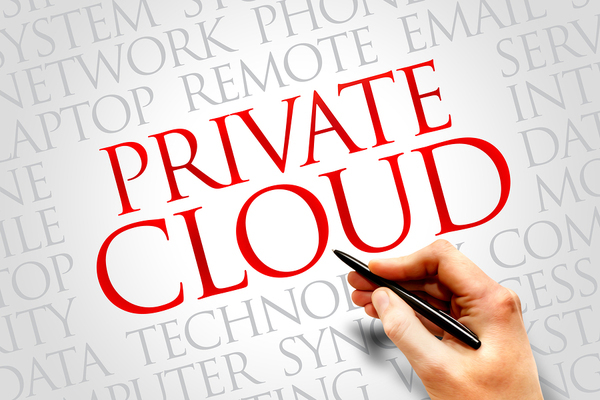 The private cloud is an isolated, dedicated data storage and/or compute infrastructure that is either owned by the company or rented from a cloud service provider. The private cloud can be an onsite or an off-premises solution. What differentiates the private cloud from public or hybrid infrastructures is the fact that it is dedicated and isolated, that is, it is not shared with any other tenants. The key advantages of the private cloud are security and more control over how the resources are allotted. For example, in a public cloud, other tenants’ workloads might command more than their fair share of the resources, slowing the performance of your workload. This never happens in a private cloud, because you aren’t sharing storage or compute resources. The primary disadvantage is that the private cloud is the most expensive option. What’s a Hybrid Cloud Solution? The hybrid cloud is, as the name indicates, a cross-breed between an on-premises data center and a public cloud. In a hybrid cloud solution, the company owns and maintains control of and responsibility for part of the store/compute environment, while a cloud service provider handles the rest in their hosted cloud service. This setup allows the business to keep the most sensitive, highly-guarded data onsite, while taking advantage of the low-cost storage available in the public cloud. While there may never be room in your closet for one-size-fits-all flip flops, there are excellent reasons why either a private cloud or a hybrid cloud solution might fit your IT needs perfectly. A private cloud is the best option if your security and/or regulatory requirements trump the costs involved. The private cloud is also ideal for the enterprise (extremely large business), where IT budget is not a factor, or in any business where networking demands are relatively static and predictable. The hybrid cloud option is preferable if your business needs to keep certain systems secure or close to home, but have other applications that you just need low-cost storage or compute resources for. The hybrid cloud is also a great option for a gradual migration to the cloud. For example, say you’re ready to take on some convenient cloud-based applications, but you still have legacy software that isn’t ready for the cloud just yet. The public end of a hybrid cloud is the perfect environment for customer-facing apps or to empower a mobile workforce. It’s also an ideal grounds for development and testing environments as you develop new software, and for storing offsite copies of your systems backups. Still looking to learn more about the cloud? Be our guest! Download our cloud report now to examine your options and make the best decision for your unique business needs.